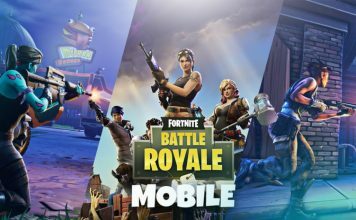 Note: We will keep updating this list with new iPhone XS clear cases and covers, so make sure to check back from time to time. The Statement series of smartphone cases from OtterBox are made from a combination of hard plastic, felt and TPU. The iPhone XS case featured here comes with a crystal clear design with a scratch-resistant clear back and a raised, protective bumper that allows full screen access. 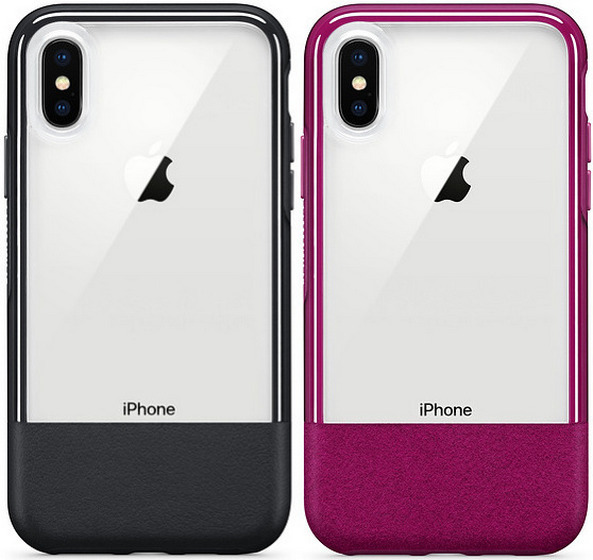 It is an ultra-slim case that the company claims passed more than 24 tests over a period of 238 hours to earn the OtterBox Certified Drop+ Protection seal. 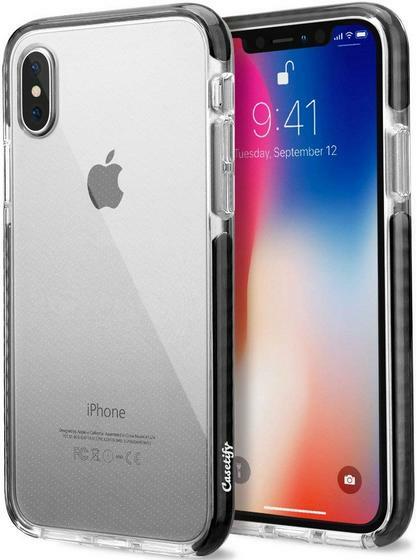 As its name suggests, the Spigen Ultra Hybrid Case comes with a rigid back and flexible bumper, giving it the requisite toughness to protect the iPhone XS. At the same time, its slim form-factor makes it easy to grip and pocket-friendly. The case features certified military-grade protection with Air Cushion Technology, thanks to a shock-absorbant bumper which wraps around the smartphone to provide all-around drop protection. At the same time, it also features a thin but strong clear back to prevent scratches and scuffs. While the Statement series cases from Otterbox are great, some may prefer the fully-transparent look without any opaque reinforcements. For them, the Symmetry series offers a clear, thin, sleek and stylish design. The case is durable and shields the phone against drops and bumps with a raised and beveled edge. 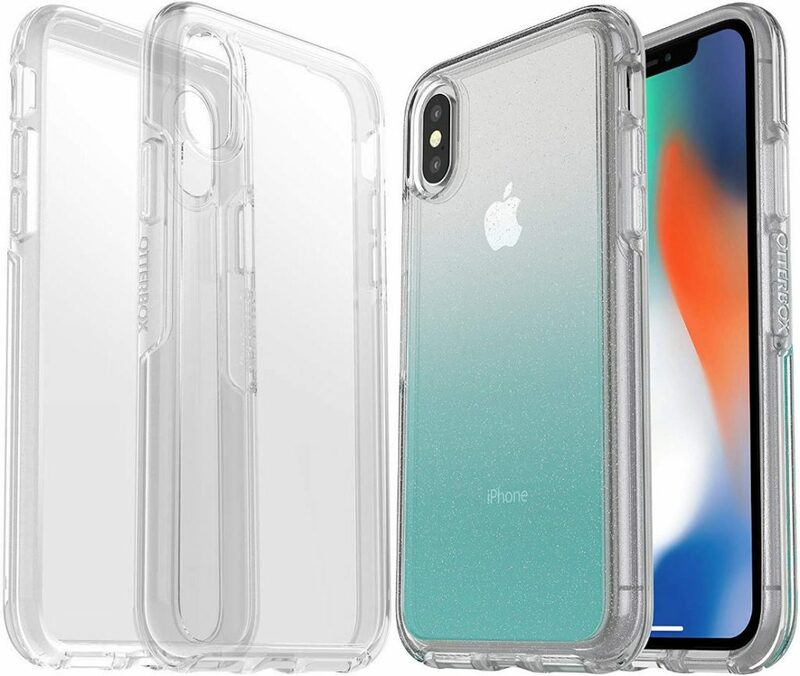 It’s available in a number of different designs, ranging from the fully-transparent unit on the left to translucent and sparkly cases like the one on the right. If minimalist is your thing, you can do much worse than the ESR Slim Clear Soft TPU Case. It’s made out of soft TPU with Air-Guard corner design for enhanced protection, but is just 1mm thick otherwise. 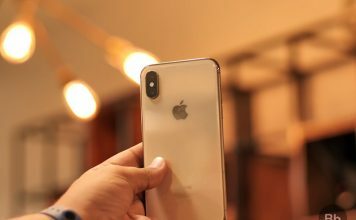 The case also comes with a raised edge to protect the iPhone XS Max’s camera and screen from scratching. There’s a microdot pattern to prevent the clinging “wet look” that develops after prolonged usage. 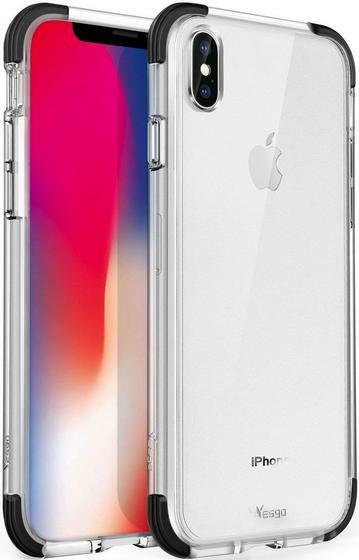 There’s a plethora of styles available, so you can choose a clear and colorless case, a clear and tinted case or even one with colorful frames (pictured here). Casetify’s clear, hard polycarbonate Case and TPU bumper offers added grip and enhanced protection. 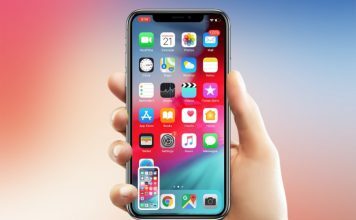 The raised bezel protects the screen and the protruding camera module, while the Qi Tech shockproof material provides impact resistance and shock absorption. The case comes with military-grade shock protection – it is MIL STD 810G-516.6 drop-tested to withstand impact up to 6.6ft. 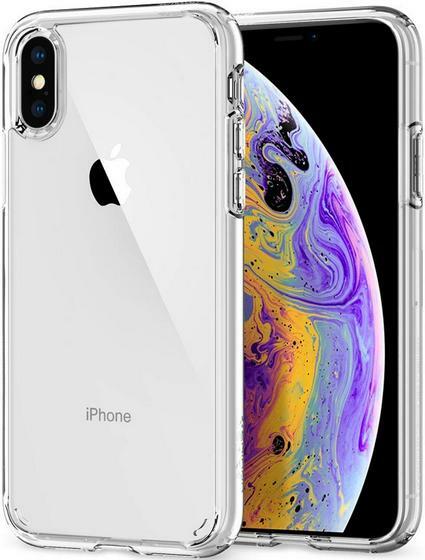 Spigen’s Liquid Crystal iPhone XS case provides everyday drop protection with Air Cushion Technology and is built from flexible, clear TPU for shock-absorbency. It features an innovative dot pattern to keep the back clear and watermark-free. It supports wireless charging and is compatible with the company’s toughened glass screen protectors marketed under the Glas.tR branding. 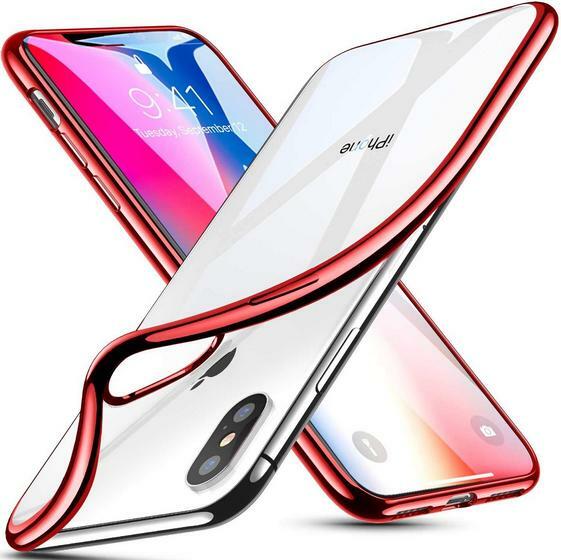 The Yesgo case featured here is a hybrid case that’s built from a soft and flexible TPU material with a hard, polycarbonate clear back for extra protection and scratch-resistance. Its shockproof airspace cushion offers enhanced impact protection, while the slim and lightweight design makes it convenient to carry and easy to use. The device also comes with raised lips to provide protection to the screen and the camera. 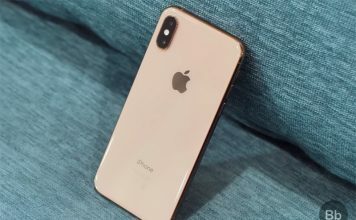 The iPhone XS is one of the most coveted gadgets to have been released this year, but it’s also awfully fragile and susceptible to damage. That being the case, you might want to protect your pricey new acquisition with one of the cases featured above. 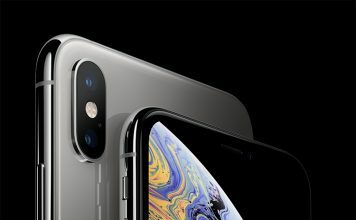 Not only will they protect your iPhone XS, they will also give you an unrestricted view of the device itself, allowing you to flaunt your prized possession without taking undue risks. So go ahead, pick one, and let us know about your choice in the comment section below.